Extracts from 2 Wing Historical Reports pertaining to the Recreation Center. Entrance area in the Rec Center. 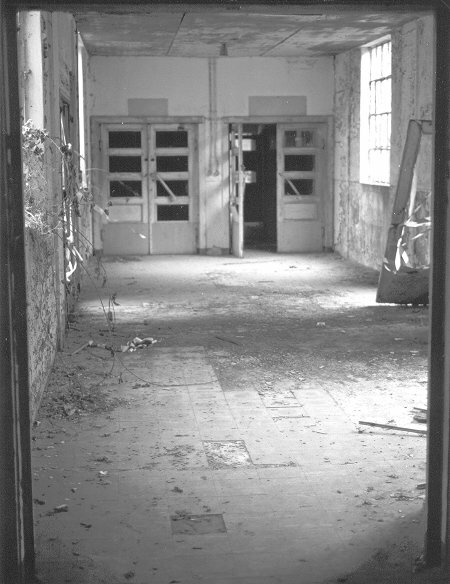 Doors lead to the swimming pool - August 1998. 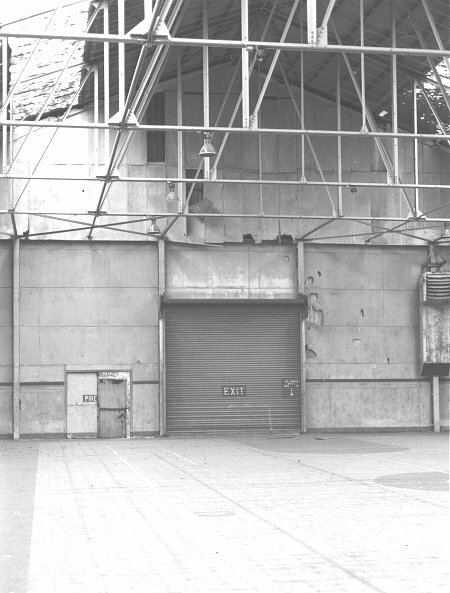 Interior photo of the gymnasium as seen from the gym floor - August 1998. 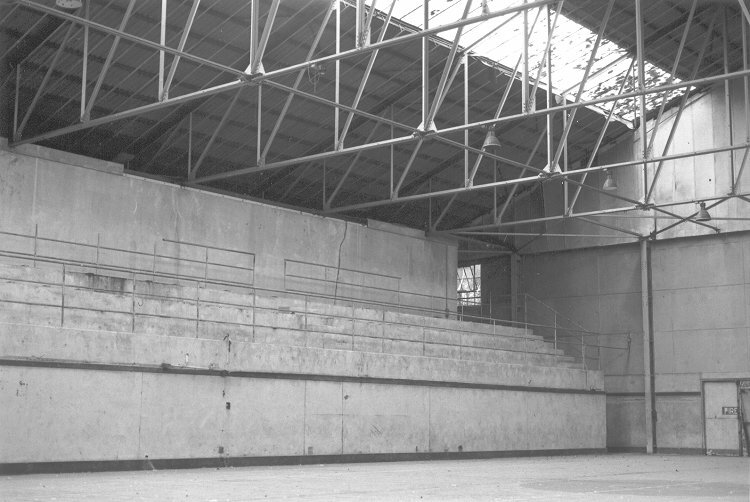 Seating area in the gymnasium - August 1998. 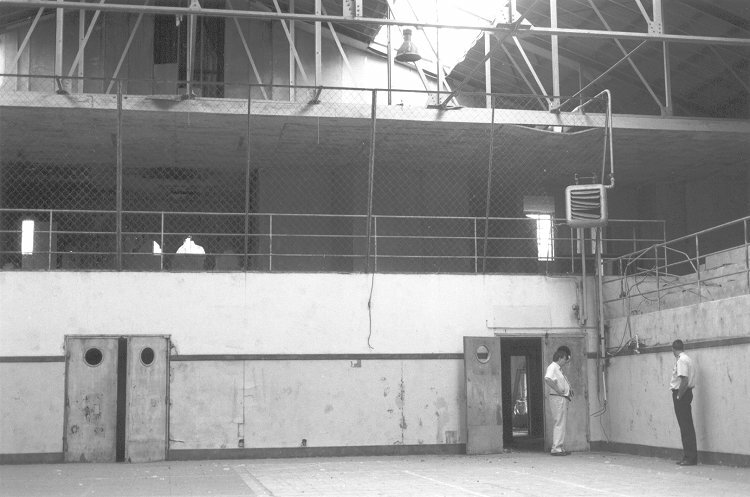 Interior photo of the gymnasium - August 1998. 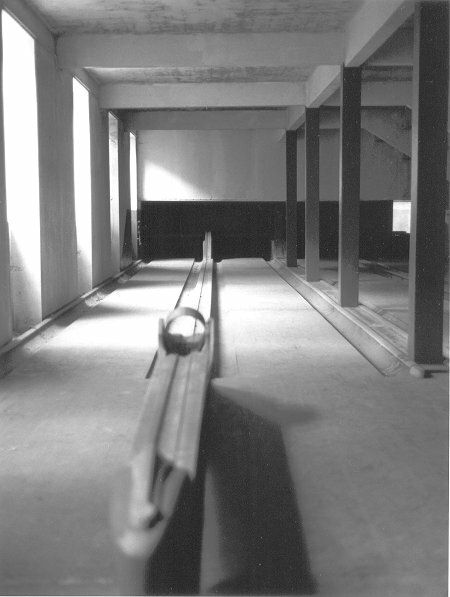 The bowling alley was located under the Rec Hall - August 1998. 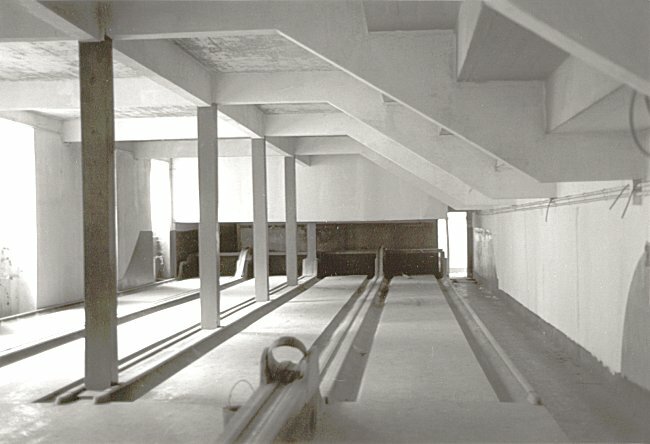 Another view of the remains of the bowling alley - August 1998. 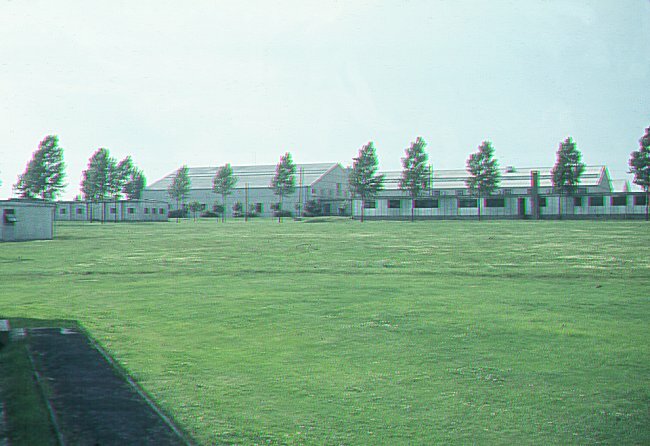 The Recreation Centre as seen from the Comm Unit - June 1963. 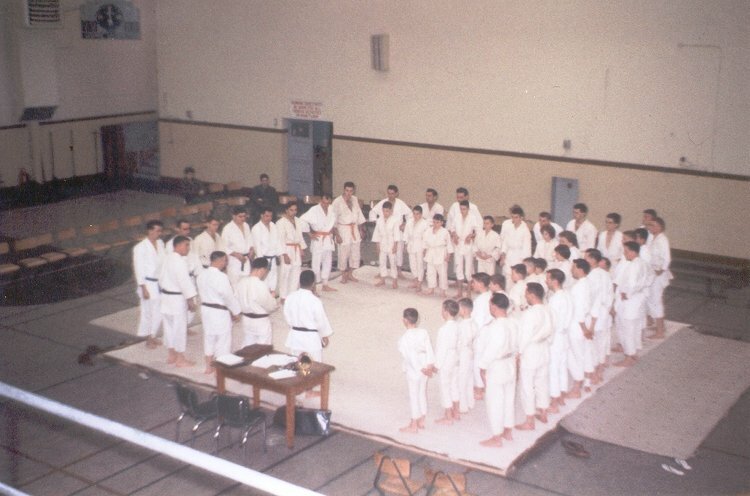 Station Judo Club putting on a demonstration - November 1962. 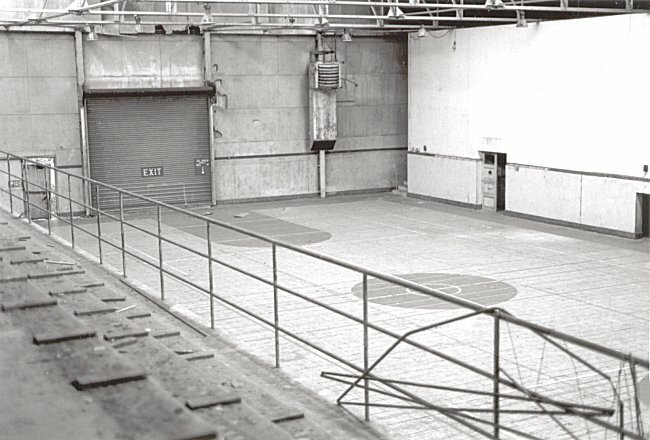 The normal training area was upstairs in the back corner of the gymnasium. 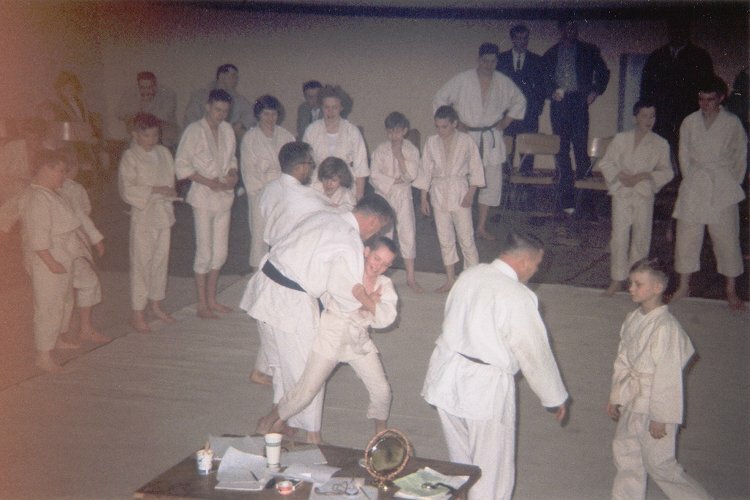 Michael Roy (center) is getting in that lucky "hip throw" - November 1962. Richard Tillotson in right foreground. 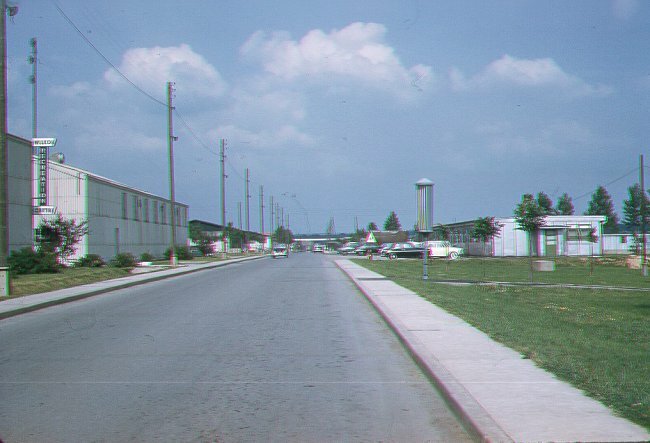 Ottawa Drive with the Wilson Recreation Center on the left - April 1960. 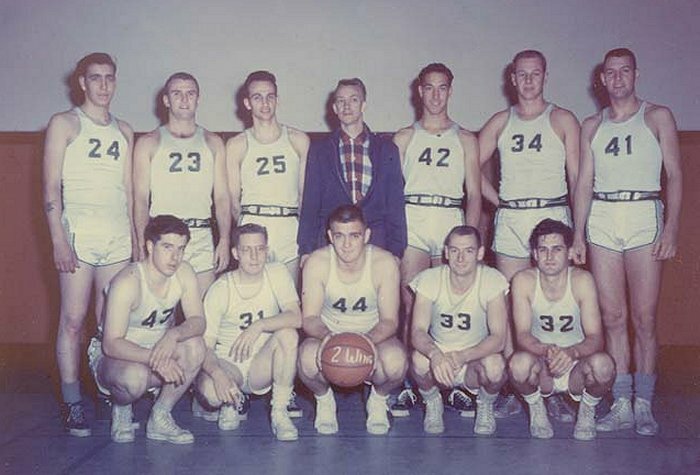 Men's basketball team photo - November 1957. Back row (L-R) - Unknown (#4), Stan Myers (#23), Frank Dupont (teacher #25), unknown, Larry Mosser (#42), unknown (#34), Mac MacKinnon (#41). Front row (L-R) - Unknown (#43), unknown (#31), Jack Beals (#44), Bill Mills (#33), Trevor Harry "Ted" Johnston (#32 - deceased). 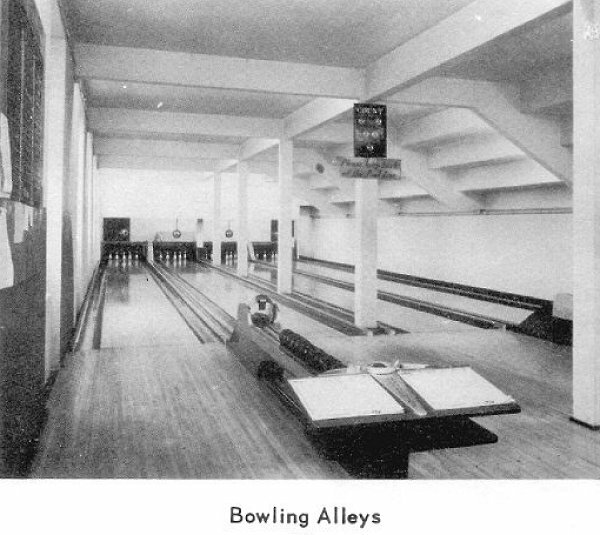 Interior view of the Bowling Alleys - June 1957. 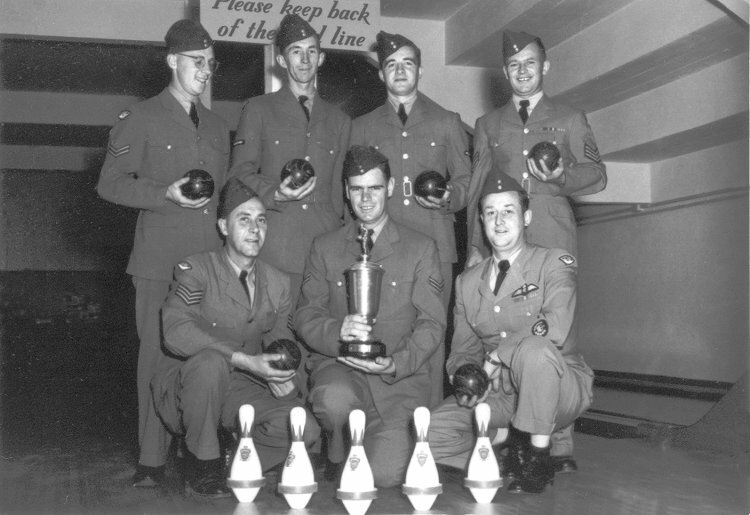 Bowling Champs for the 1955-1956 bowling season - 15 June 1956.